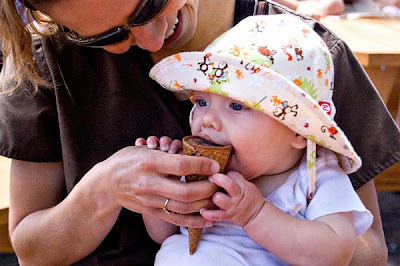 From Thursday: babies and greenhouses and ice cream cones. Alas, this baby can't get enough of daddy time... He's only got eyes for his papa. There we go. Much better. 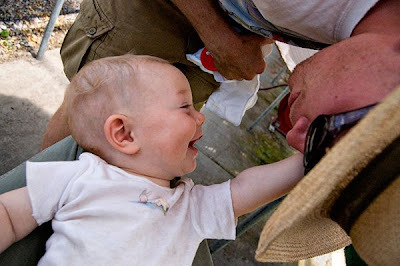 Happy baby time. P.S. Mom is super-conscientious and makes all of baby's food at home. 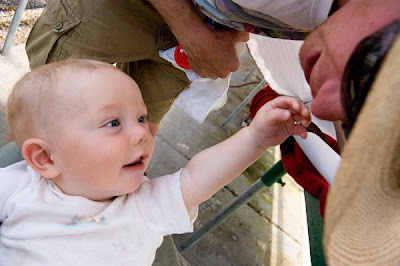 The ice cream cone was, in fact, a silly moment, and baby did not actually eat any of it. 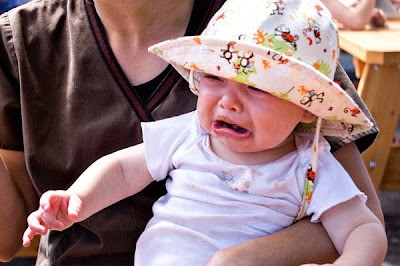 I have no idea if ice cream is terrible for babies, but I'm assuming it is (hence, the caveat). So adorable. The ice cream shots are so cute! 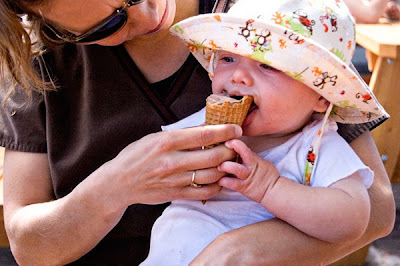 Ice cream is not terrible for babies, unless they have food allergies. Ice cream is especially good for mommies.